We manufacture pressure and feed rollers for moulding machines, feeders, belt grinding machines according to drawings or samples completely ready for installation. The choice of the roller coating, the design of the roller coating in smooth or grooved form and the most suitable degree of hardness for the roller coating must be determined customer-specifically. Our employees will be pleased to advise you by telephone or at your site regarding a high-quality and cost-effective design of pressure and feed rollers. Holz-Her rolls consist of a core of aluminium. Light-colored rubber is used for the coating, in addition to polyurethane materials that have long been tried and tested in the wood processing industry, mainly the elastomer Vulkollan®. The mounting holes of the core are made with two secondary holes. As a service, we offer our customers the option of having their used pressure and feed rollers replaced by us. 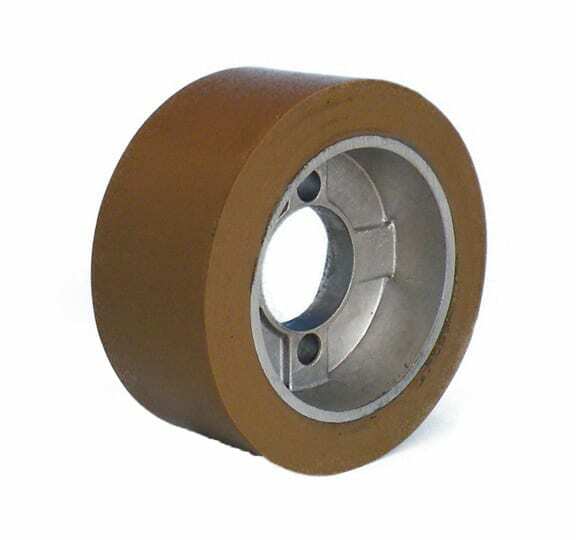 In addition, the most common pressure and feed rollers can be supplied at short notice from stock or by our field service in an exchange process.